A more candid moment from the cover-photo shoot for the first issue of Lion’s Roar. See the whole cover. 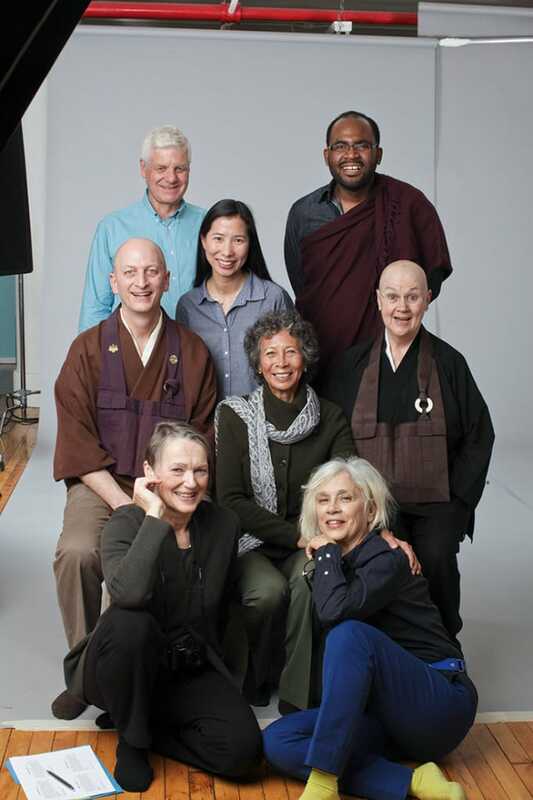 Clockwise from top left: Lion’s Roar editor-in-chief Melvin McLeod, Rebecca Li, Lama Rod Owens, Roshi Pat Enkyo O’Hara, photographer Christine Alicino, Gina Sharpe, Lion’s Roar art director Liza Matthews, Geoffrey Shugen Arnold. Photo by Christine Alicino. Buddhism in America is changing—and so are we. It’s about more than our new name. 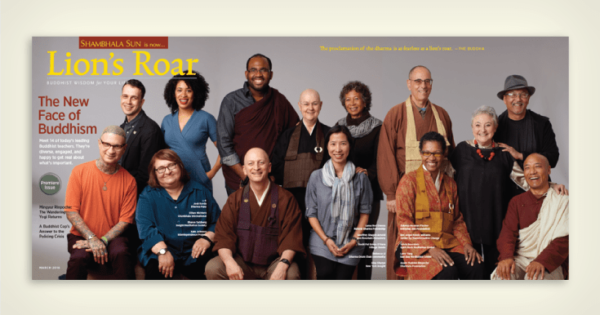 New generations of teachers and practitioners are exploring ways to make the dharma more available, inclusive, and relevant in the twenty-first century. We want Lion’s Roar to be their voice, now and for years to come. Today’s Buddhists are less traditional but their goal is the same as it’s always been—to benefit others. They’re pushing boundaries and reaching out to new communities. They’re politically committed because the world needs deep spiritual wisdom more than ever before. And they know from their own practice that it all starts with the simple act of sitting down and meditating, which changes everything. Lion’s Roar is the third name for this magazine. Each change has reflected an expansion of our mission and audience. 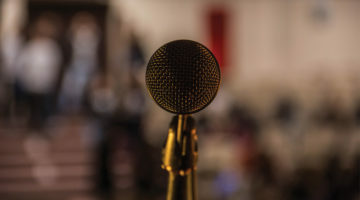 We started as the Vajradhatu Sun, the community publication of the late Chögyam Trungpa Rinpoche, and his historic presentation of the Buddhist teachings remains our foundation. Next, we became the Shambhala Sun, the name most people know us by. Over the twenty-five years of its existence, the Sun became the leading voice of Buddhism in the West, winning awards for its quality and beauty, and the top newsstand magazine in the spirituality category. Now, as Lion’s Roar, we will reach out even further—to make the dharma available to everyone who wants it, to apply Buddhist wisdom to the world’s urgent problems, and to support new generations of practitioners in all the great contributions they are going to make. The name Lion’s Roar reflects this mission. 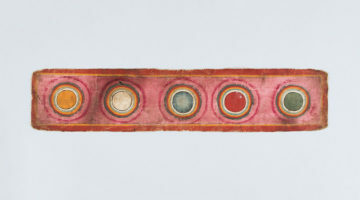 It is a metaphor used by the Buddha himself and honors Buddhists of all traditions. It is in English and reflects the natural evolution of Buddhism from an Asian import to an integral part of our culture. It expresses the fearlessness and confidence needed to present the profound truths of dharma. This new name also reflects our own generational change. Every day, the Lion’s Roar Foundation is more and more defined by people here in their forties, thirties, and twenties. Their concerns, views, reference points, and media are different from mine, and that’s a good thing. Their commitment to the dharma is deep. They will take Lion’s Roar forward in new and ever more effective forms and help define Buddhism’s future role in our society. It is a good thing to spread the dharma—to make its benefits as widely available as possible. But it is not enough. It must be deep. It must be real dharma. It must not shy away from the hard truth of suffering and its cause, the challenging truth of emptiness and nonego, and the ultimate truth of enlightenment. Even as it reaches out, Lion’s Roar will always present the genuine, uncompromising dharma that defined the Shambhala Sun. 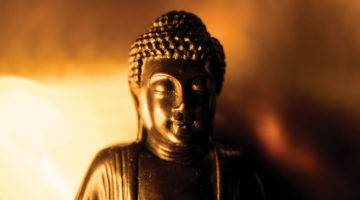 In the end, why is Buddhism important anyway? After all, it’s just one of many different religions practiced by a small minority of Americans. The answer is that Buddhism is not so important—in itself. But its profound truths have never been more important. As usual, we go to the Buddha himself for perspective. He compared Buddhism to a raft that takes us to the other shore. When we reach our destination, which is the end of suffering, we don’t keep carrying the raft around with us. It has served its purpose. Of course, we are far from leaving the raft of Buddhism behind us. Lion’s Roar will be its voice, speaking in new ways to many new people, offering the deep truths of dharma fearlessly. It is these universal truths—wisdom, compassion, and our basic goodness—that Lion’s Roar will proclaim, now and I hope for generations to come. May it be of benefit.